If you’re running macOS Mojave (and you really should be), probably one of the first things you did after installing it was to test Dark Mode. The new theme darkens the Mac interface and makes everything look cooler — apart from text, which is just harder to read. But there’s no built-in way to have Dark Mode switch on automatically at sundown. That’s where NightOwl comes in. The free app switches your Mac between Dark Mode and the traditional lighter look automatically. NightOwl is two things. One is a menu bar utility that lets you quickly switch between dark and light themes. The other is a scheduler that lets you automatically switch. 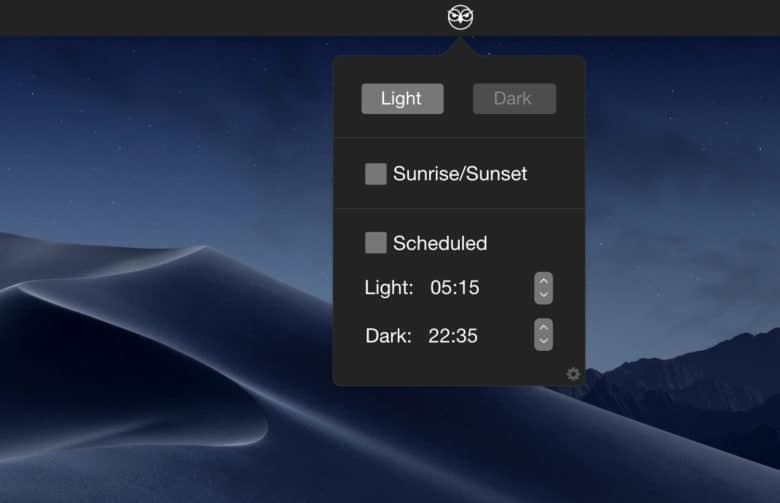 NightOwl offers a quick and easy way to automate Dark Mode on Mac. 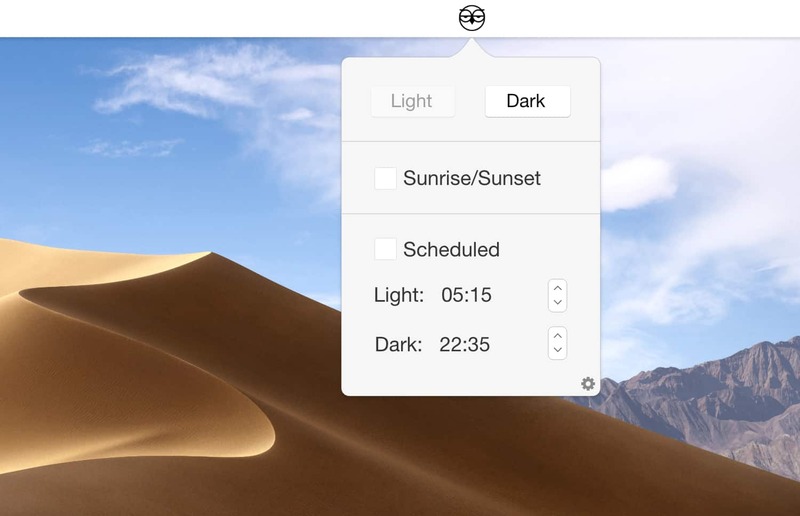 The simplest option is to click the Sunrise/Sunset box, which switches themes automatically when day turns to night and night turns back to day. Or you can set specific times to switch on both modes. There’s not really much more to say about it, other than that it doesn’t cost any money. NightOwl also tracks your usage of the app using Google Analytics to collect statistics, but you can disable this in the settings. It’s up to you whether you want to run a non-App Store app that puts tracking code on your computer, but at least developer Benjamin Kramser is up front about it on the product page.